Longtime friend and fellow producer Killsam has teamed up with Angry Parrot once again and together they are giving you access to some of the most diversified and original sounds that you’ve never heard, until now. 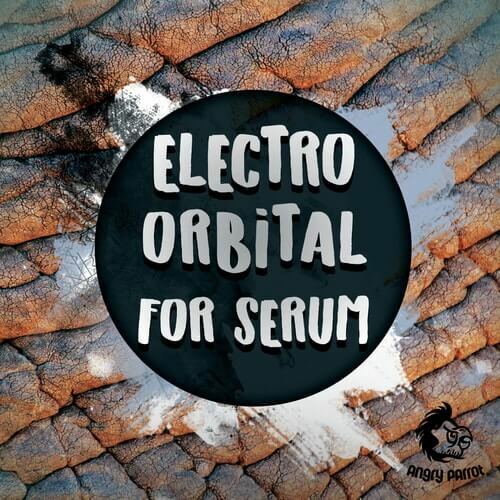 Electro Orbital for Serum is an Electro and Bass soundgasm that features 75 presets for Serum that will deliver an unprecedented amount of depth and texture to your next work of audio ecstasy. Not only are there plenty of presets, brace your face for some seriously off the hook audio samples. Fast paced and intricate drum loops, gnarly metallic drones, mechanical glitches, chatters, stutters, phat and nasty bass lines, and the list goes on and on. Load up an intelligently constructed Serum preset and start building your hard-edged electronic atmosphere. We are unleashing the heavy artillery that is nothing short of synthplosive. Pick up Electro Orbital for Serum from Killsam and Angry Parrot and be the architect of sonic audio creation.